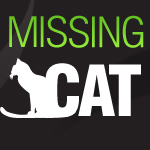 Pet’s Description: Our black 18 month female tabby cat Mako is lost. She has black fur with two large white patches on her stomach, green eyes and she may be wearing a blue collar. Mako responds to her name, is very affectionate and is not aggressive towards people though she may be skittish around strangers. PLEASE call on 0506582283 if you see her or are able to capture her. We miss her terribly! Will offer a reward.